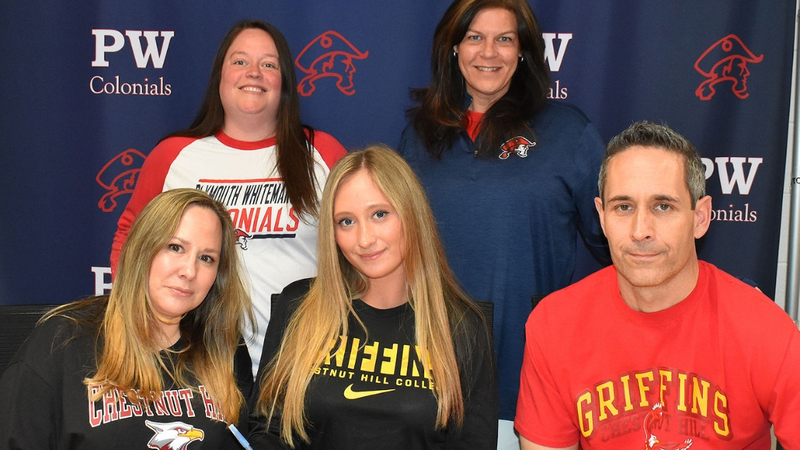 Plymouth Whitemarsh High School’s Peyton Baldwin has announced her intention to play softball at Chestnut Hill College next year. A Tri-captain and four-year varsity starter at shortstop for the Colonials, Baldwin was named Honorable Mention All-Suburban One League American Conference (SOLAC) last season. As a junior, she Baldwin tied for the team lead in hits while posting a .327 batting average and a .352 on-base percentage. She hit .421 with runners in scoring position. Baldwin helped the Colonials to the 2018 SOLAC Softball Sportsmanship Award. She missed her sophomore season with a knee injury. Baldwin is also a member of the National Art Honors Society. She plans to study exercise and sports science in college.